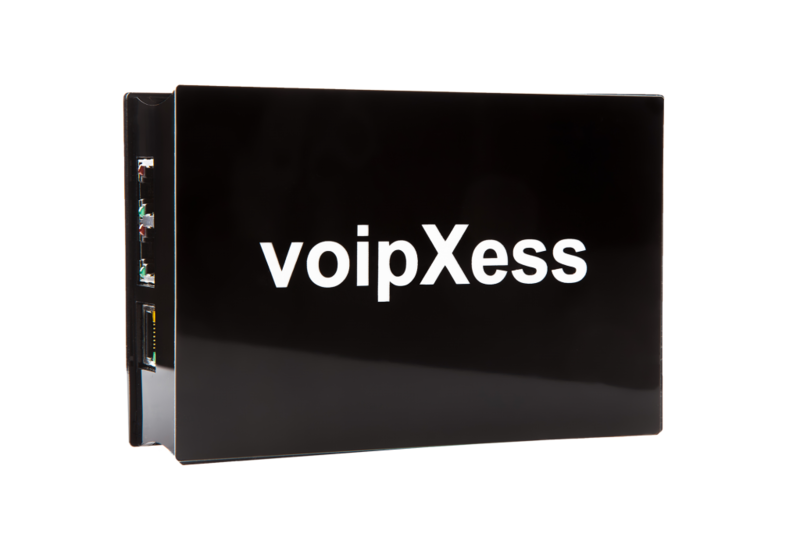 voipXess SBC connects any IP PBX to any Internet-based, next-generation network. With integrated enterprise session border controller (E-SBC) functions for any type of signaling conversion, voipXess SBC is an ideal demarcation point for the interface between enterprise links and wide area networks. The two Ethernet ports of voipXess SBC guarantee physical separation of networks as the demarcation point. Integrated monitoring and tracing functions support quick and easy trouble-shooting, and assist fast remedy of faults. Built-in SIP normalization functions, VoIP header and number modification functions as well as media transcoding allow voipXess SBC to adapt any IP PBX system to any network. The integrated IP & SIP firewall of voipXess SBC protects the VoIP network. Fraud attacks are detected and automatically blocked. Calls via the ISDN network or mobile communications backup in case of IP network failure ensure availability of services. The integrated SIP server of voipXess SBC provides local SIP terminal devices with telephony functions if the cloud PBX becomes temporarily unavailable.